If you have been around the pack world for any amount of time, you have no doubt heard of Kifaru. 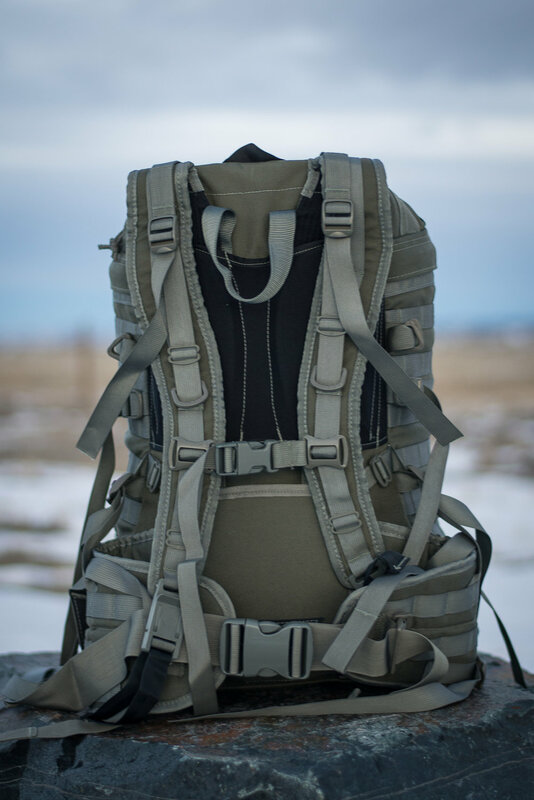 Based in Colorado, their packs are typically used by tactical and backcountry users that need to haul heavier than average loads and do it in a comfortable way. While the Kifaru Pointman is now discontinued, it is a classic model built with these users in mind. It is a 3000 cubic inch (49 liters) top loading pack built on Kifaru's WrapTech Suspension. At only around 22" tall, the pack is fairly deep and wide, creating a less-than-sleek aesthetic when loaded (it's sort of chubby). There is a zippered access on the top of the pack that feeds into the main compartment as well as a simple sleeve pocket on the back panel of the interior, starting where the Chamber Pocket hangs. The pack also features a bottom access zipper that mirrors the top, so kit in the bottom of the bag can be accessed readily. 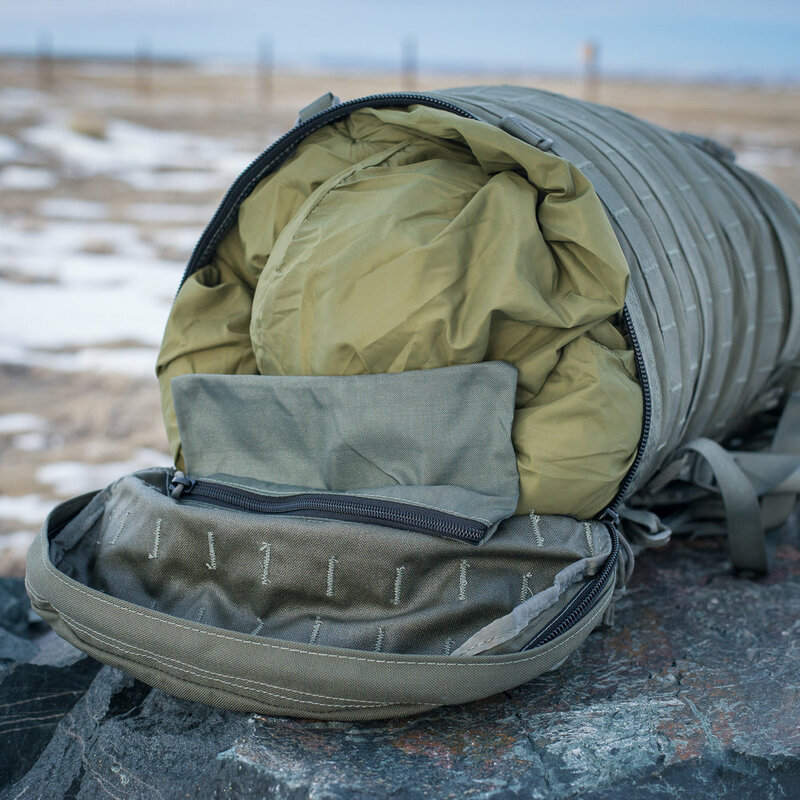 In true vintage Kifaru style, the Pointman is covered in PALS webbing, allowing the user to load up any number of MOLLE pouches or accessories from Kifaru such as they Dock and Lock Pockets. The built in side and bottom compression straps do a great job of controlling the girth of the bag. You might see these old packs around still, and while they are not new anymore, they are built like tanks and should endure many more years of hard use. This one actually went on to a contractor who was headed downrange. May it should serve him well.